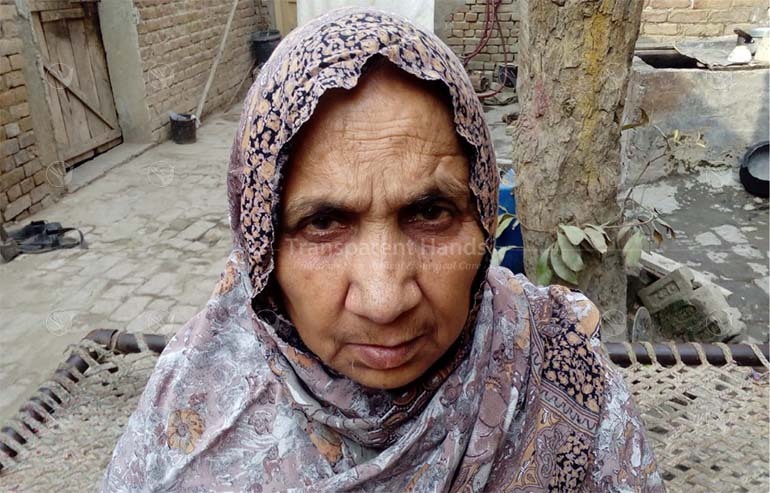 Karam Ilahi is a 65 years old cardiac patient suffering from Ischemic heart disease – a condition in which there is a serious blockage in her arteries leading to poor blood and oxygen flow in the heart. This disease will gradually damage her heart by increasing the risks of getting fatal heart attacks. She experiences shortness of breath, dizziness, rapid heartbeats, fatigue, cough and congestion in the chest. Within the last 2 years, her symptoms have worsened so much that she has swelling in her legs, feet and abdomen. She feels extreme pain in her chest especially when her blood pressure rises. She also has difficulty in sleeping at night. Last year, she underwent her Angiography from a local hospital but she couldn’t proceed further because of her financial condition. Now the doctor has advised her open heart surgery for permanent relief as soon as possible. Without timely surgery, she may lose her life. Karam is a widow and has 2 sons and 1 daughter. Her daughter is married and is living separately with her in-laws. After her husband’s death, she came to live with her younger son in a small house. Her younger son is a salesman and earns 8000 PKR per month. He is also married and has the responsibility of his wife and children as well. At this crucial moment, Karim Ilahi needs your love, respect and care that she deserves. She is scheduled for her Open Heart Surgery in a few days at National Hospital, Lahore. Your donation for her surgery can entitle her the right to live a healthy and dignified life. Together, let’s give this old woman a second chance to live a better life!